Now this may seem like a crazy thing to say but you should be using your air conditioning system in the cold days of winter and more recently …summer. The much talked about London heatwave has turned into some much needed rain but if you are feeling like you have wasted your money on installing air conditioning then think again. Heating air conditioning is a standard function of modern air conditioning systems. Instead of cranking the boiler up and putting the radiator on full blast why not switch your system to heating? The refrigeration cycle is reversed in the heat pump and you can heat your home instead of cool. Using your AC system on heating mode can save you money on your energy bills by up to 75 %. How? The right heating air conditioning system can lower your carbon footprint rather than increase it. The systems we install are minimum A++ energy efficiency rated from brands such as Daikin and Mitsubishi. Haven’t got Air Conditioning to test it out? 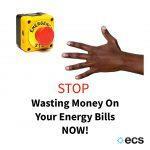 Call us today and make the switch so you are ready for what ever mad weather we have in London. So what is the average air conditioning installation price? You can take advantage of our residential air conditioning installation offer and get 10% off, so a 2kw wall mounted Panasonic system can be installed from as little as £1350 plus vat after the discount using the code “ecs10off” on the price from £1500. Extra incentive comes from the government who offer a vat reduction on the cost of your heating air conditioning installation. Thanks to the green deal which has been running strong since 2013, instead of 20% you only pay 5%. Need any more incentive? A heating air conditioning installation engineer can have your new system installed in as little as 4 hours. Listen to your inner eco warrior – or at least your wallet and make a saving on your energy bills today.